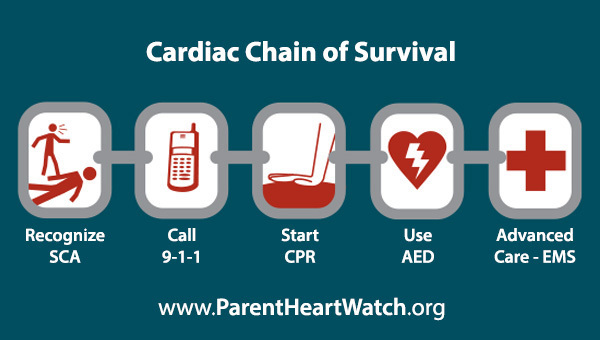 To commemorate Sudden Cardiac Arrest (SCA) Awareness Month, National PTA has invited Michele Snyder, executive director of Parent Heart Watch, to share how you can protect your child and raise awareness. I was recently interviewed by The Today Show and was asked if there were any positives that have come out of the loss of my 17-year old daughter Jenny to sudden cardiac arrest (SCA). At first, it felt like a ridiculous question. How could there possibly be anything positive that comes out of the unexpected death of your seemingly healthy child? After some thought, however, I knew my answer. There was a silver lining—the incredible people I have met while healing from this tragedy. Most of them are members of Parent Heart Watch, an organization dedicated to protecting youth from SCA and preventable sudden cardiac death. They are parents who have lost a child to SCA, parents with a child that survived SCA or living with a heart condition, healthcare workers, school personnel and others—all advocates who work tirelessly each day in their local communities to prevent this from happening to other families. We know that sudden cardiac death can often be prevented and as a parent, you can advocate for your child’s safety by taking the Prevention Promise and using the Take 5 to Stay Alive toolkit to protect your child. Each promise comes with the tools and resources necessary to support your efforts. Take 5 to Stay Alive is easy and available now at ParentHeartWatch.org. Don’t look back and regret that you didn’t take the time. It’s a matter of life and death. At the 2013 National PTA Convention & Expo, the members adopted a resolution calling for public schools to develop emergency response plans that include summoning help, performing CPR and using automated external defibrillators (AEDs) to save lives threatened by sudden cardiac arrest. The resolution also calls for education about the importance of purchasing and maintaining AEDs and ongoing CPR-AED training in schools. In addition, the resolution advocates for legislation that would fund placement of AEDs in every school, while providing immunity for people who use the lifesaving devices in good faith. Read the resolution. Guest blogger Michele Snyder has been executive director of Parent Heart Watch since September 2010. In 2008, Michele and her husband Bob lost their 17-year-old daughter Jenny to sudden cardiac arrest. Since that time, Michele has dedicated her life to protecting other families from this tragedy. Michele Snyder is the Executive Director of Parent Heart Watch (PHW), the national voice solely dedicated to protecting youth from sudden cardiac arrest and preventable sudden cardiac death. 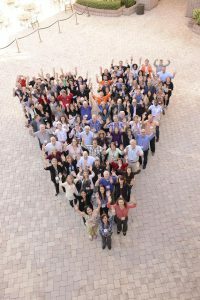 PHW leads and empowers others by sharing information, educating and advocating for change. For most of my adult life, I was a parent to two seemingly healthy children. That changed on August 21, 2008, at 7:15 pm, when my 17 year-old daughter, Jenny, collapsed on the soccer field from an undetected heart condition. At first it seemed she just fainted, but I now know she suffered a sudden cardiac arrest (SCA). Like so many other children, death was her first symptom. SCA in young people is not rare! Approximately every three days another headline appears about a child that has had a sudden cardiac arrest. If not treated within minutes by CPR and the use of an automated external defibrillator (AED), SCA results in death. 1) Every school should have an AED accessible to the public at all times. Everyone in the school should know where it is located and understand how it is used. Studies show that someone as young as age 8 can follow an AEDs audio and visual prompts to save a life. Talk to your PTA about ensuring that there are enough AEDs to serve all the kids at your school during school hours and school sponsored events. 2) Every school should have a written and well-practiced Emergency Action Plan that includes cardiac emergencies. Ask to see the plan and find out who at your school is trained in CPR and AED use. Retrieve and use the AED immediately. AEDs only provide a shock if needed. It will not hurt the victim or responder. 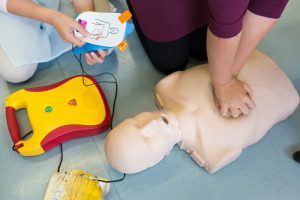 In 2013, National PTA passed a resolution to place AEDs in all schools, train personnel in their use and help schools develop emergency action plans. Parent Heart Watch is proud to support this resolution. We spend so much time protecting and nurturing our kids. Please take time today to make sure your school is prepared to save a life. 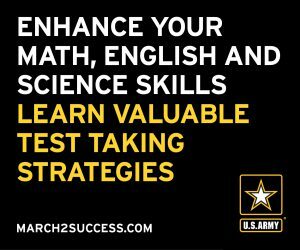 For free educational materials for your school or to learn more, go to www.parentheartwatch.org.